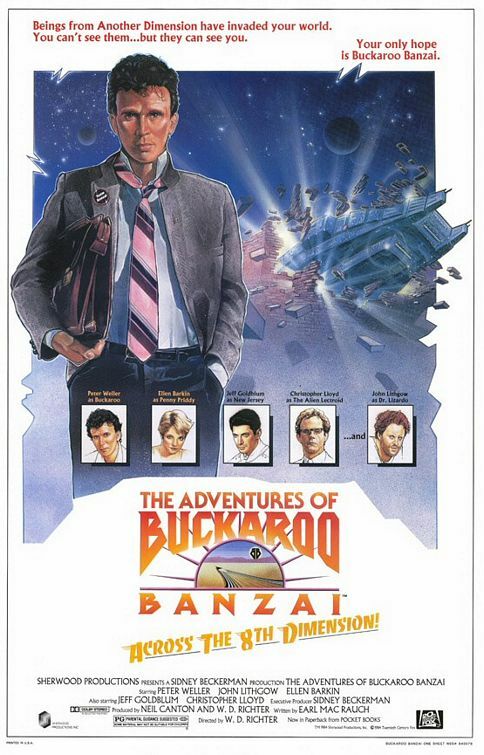 The Adventures of Buckaroo Banzai Across the 8th Dimension!, often shortened to Buckaroo Banzai, is a 1984 American science fiction romantic adventure comedy film directed and produced by W. D. Richter. The premise centers upon the efforts of the polymath Dr. Buckaroo Banzai, a physicist, neurosurgeon, test pilot, and rock musician, to save the world by defeating a band of inter-dimensional aliens called Red Lectroids from Planet 10. The film is a cross between the action/adventure and sci-fi film genres and also includes elements of comedy, satire, and romance.